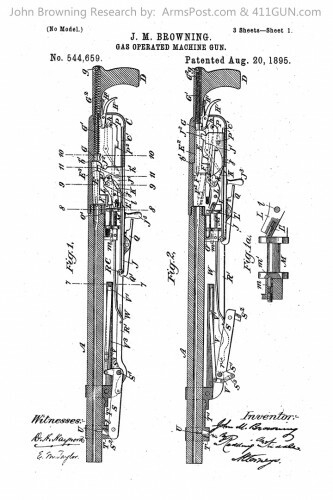 This was another of his Gas Operated Machine Gun patents and it used a belt fed mechanism for the rounds. 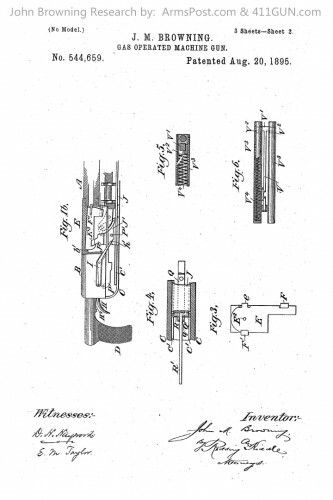 United States Patent 544659 was granted to John Moses Browning on August 20th, 1895. 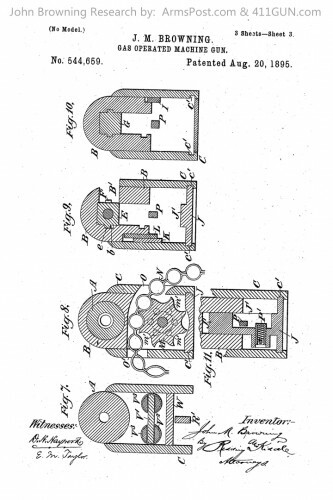 He had applied for this patent on June 17th, 1893.